You can’t have a functional garage door system without garage door springs. These powerful components do a couple important duties. First, they support the weight of your garage door. Some door types weigh hundreds of pounds; there’s no way you could safely or comfortably open such a garage door without the garage door springs. Second, because they support this weight, you can have a small and efficient garage door opener. By itself, that component couldn’t lift a heavy door any better than a human could. Why did we choose garage door springs as our specialty? These important parts of your garage door system are also the most dangerous parts. 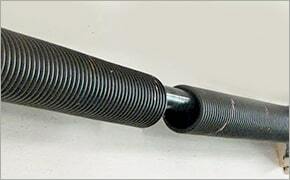 In order to do the job, garage door springs are placed under extreme tension. They can be compared to elasticized tie down straps with hooks on each end. If one of those hooks slips or the cord breaks, there’s going to be a violent snapback. Such a snapback can not only damage property, but also cause painful injuries. Now imagine that same snapback only several times stronger and with metal springs instead of elastic cords. In short, garage door spring repair is a dangerous job that should only be done by experienced professionals. We at Elite Door Systems are those experienced professionals. We have the proper tools and knowledge to safely replace these potentially dangerous parts of your garage door system. Lot’s of garage door repair technicians in San Diego will install the wrong springs on purpose? Most garage door technicians weren’t properly trained on how to determine the right size springs? Most technicians install whatever they have on their truck and don’t care if they are right or wrong. 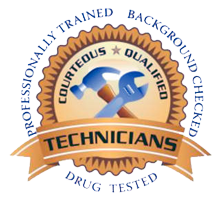 We are not most garage door technicians. We are Elite and we don’t play games with Solana Beach’s garage door springs. You shouldn’t either.